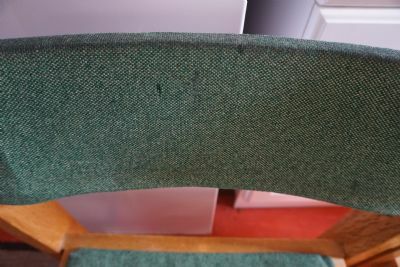 Reupholstering the chairs in the church: The chairs are now over 20 years old; the fabric covers are badly stained, and the foam padding is decomposing. 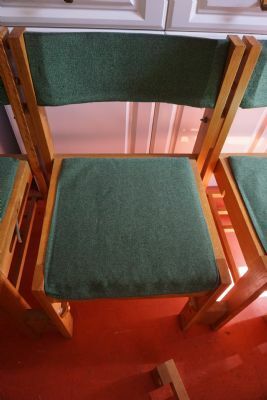 Having spoken to several companies, guidance was sought for the best way to refurbish and reupholster the chairs using the most appropriate fabric or material.The advice received was that the church’s requirements would be best met by considering a textile fabric that is hard wearing, easy to wipe clean, comfortable and is durable with a long life. More importantly, for the church, the finished product needs to both look attractive and fit sympathetically with both the wooden chairs and rest of the church. Different coloured samples of the material will be available for parishioners to see. The cheapest way of doing this work is to have new pads and seats made in a factory and remove and replace them ourselves – we may need volunteers to help, as there are 104 chairs!! We are also considering changing the material on the kneelers. On July Saturday 7th and Sunday 8th 2018 the following presentation was offered to the parishioners. The display was well received, some parishioners remained behind after Mass was celebrated for over thirty minutes, viewing the proposed samples of floor tiles on display and sample a selection of upholstery materials and colours as initially selected by the project team. Refurbishment, renovation & restoration: Presentation and next stages. 1. Improving and updating the lighting in the church - see box below please. 2. Replacing the flooring in the nave and entrance - see box below please. 3. 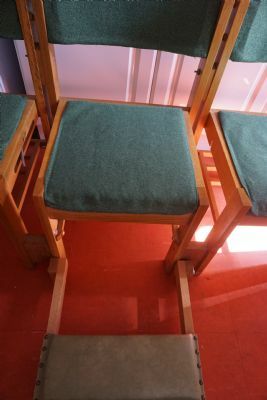 Re-upholstering the chairs in the church - see box below please. Parishioners were kept involved and informed, this presentation (see below) proved a success. Many parishioners stayed after mass to view the floor and upholstery samples on display. Reflooring the nave, the hallway and chair upholstery - DISPLAY 7th AND 8th JULY, 2018. If you can spare few minutes, please stay behind after the masses on Saturday 7th July (evening) and Sunday (morning) 8th July, 2018 (before the BBQ). There will be a lighting display and samples of the flooring and chair materials we are considering for parishioners to view. There will be a series of illustrative photographs showing the different flooring and seating combinations. This demonstration was prepared by a parishioner, (an architecture student) to help the team and the parish see what the church could look like when the work is complete. If you have any queries or want more explanation, please ask any of the team members* some of whom will be on hand to answer your question and listen to your comments. If you have an alternative view or opinion, please see Fr. Habte at any time in the coming week. Thank you. Updates regarding the refurbishment and renovations to the existing chairs will be presented shortly. 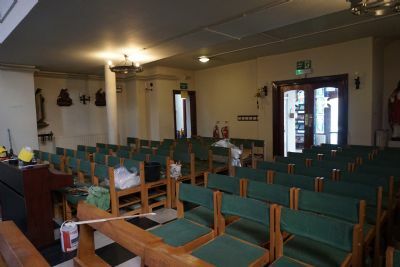 The chairs have been moved from the church to accomodate and allow the removal of the old floor tiles and their replacement with the new floor tiles. A test was conducted on one chair, to review the various options regarding replacing the upholstery, either in situ, or if this would be conducted off site by a designated company. 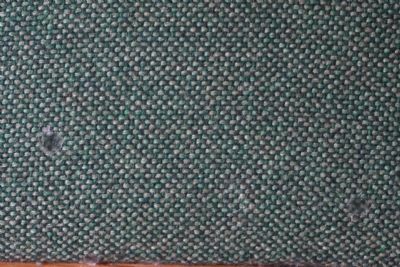 During a simple attempt to remove the old seat cushions, the foam cushioning immediately decayed and the foam collasped into small foam particulates. The existing chairs can be seen here with an example of a worn seat cover and equally worn out backrest. The kneelers will also be reupholstered and felt feet or similar material fitted under the wooden kneelers (and underneath the legs (feet) of the chairs), to both protect the new flooring and to dampen the sound made when the wooden kneelers are pulled out from the recess under the chairs, for use and returned to the closed position, when the kneelers are not in use or required. Further details and updates will be provided in due course. Please note this webpage is in the process of being updated.